Welcome to the "April Showers Brings May Flowers" Blog Hop! This hop will showcase things that are all about Spring, so please sit back and relax and let this hop put you in a springtime mood. Here, the sweet smelling cool rain gently wets the ground so the seeds poke their heads out and become beautiful flowers. If you happened to stumble upon the hop here by chance, and want to start from the beginning, it all starts with Lissa at www.somanycrafts.com. Starting here will take you through the entire hop of inspiration. the Journey" set. The lilac background paper is from a 6x6"
stack by Lawn Fawn (from Ginger Snap Scraps, as well). 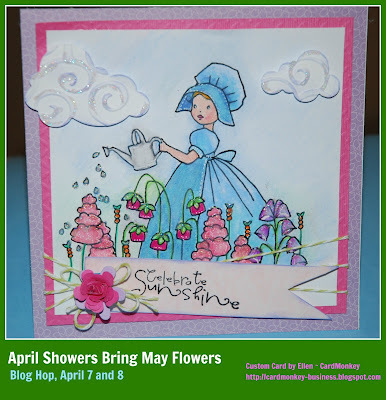 This sweet Sizzix die is one of my favorites. 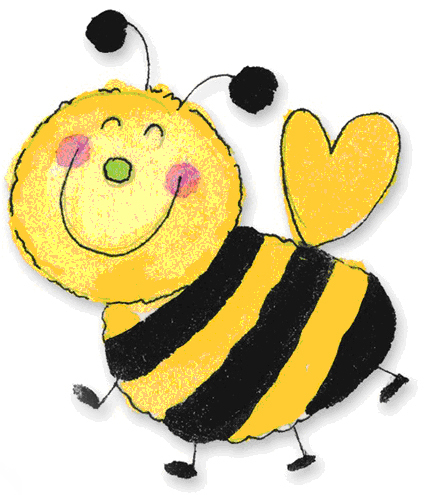 Valentine's Day, or a general "You're Bee-Ootiful" card. I attach it to an Action Wobble for extra fun! 1. You must be a follower of the CardMonkey blog. 2. Leave a comment on this blog about the card shown above. 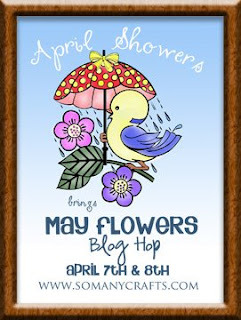 Now, zip on over to the next stop on the April Showers Bring May Flowers Blog Hop, which belongs to ZENITA ("Z"). I love love love your card, you did an awesome job. Your music went well with the card, it's beautiful of course! Super cute card!! Happy Easter! What a cute card. Lots of love went into all the details. Lovely card- I like the stickles to make the water seem more real. I really loved the freshing coloring and all combination. Feel like beaazing effect. Became your follower too. Great card. It is really pretty! Super cute card! 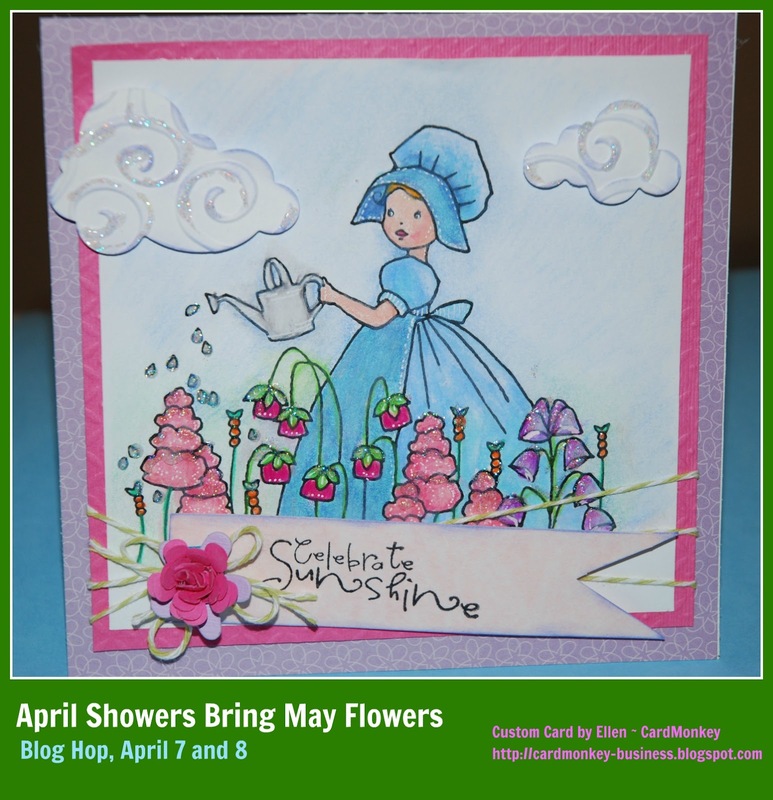 I want to learn how to use digi-stamps! Darling card and I love the colors and sweet image! I'm already following you by email! Beautiful coloring!! I love digi stamps!! Thank you so much for sharing with us! !